Many people, when hearing Louisiana-style music with accordion, simply think "Zydeco!" However, Cajun Music and Zydeco are actually quite different. Let's start with a quick history lesson: the Cajun people of Louisiana left France to settle what is now Nova Scotia. They set up the first permanent colony in the new world in 1605. In 1755, the English (who now owned Canada) expelled the group, as they refused to pledge allegiance to the English crown. Eventually, a large number of them rebanded in Louisiana. Over the years, many people from other cultures intermingled with them, adding their own spice to the mix which would become Cajun culture. The black Creole people have a quite different story. The culture is very different than black cultures elsewhere in the South. There were several distinct groups that made the culture what it is today. Les Gens Libres du Couleur, or Free Men of Color, was a group of property-owning free Black people. There were also, of course, many black slaves who brought their African music and culture to the mix. Later, after the Haitian slave rebellion, a large group of freed slaves fled to Louisiana with not much more than their Afro-Caribbean culture, music and religious beliefs in tow. For over 150 years, these cultures intermingled in the extremely isolated bayou and prairie areas of Southwest Louisiana, and from this mix came a style of music known as "French Music". Bands played house dances, and while the attendees seldom mixed races, the bands themselves would often be multiracial. French music at this time was primarily fiddle-based, and dancers would dance Square, Round, and Contra Dances. In the late 1800s, the accordion was invented and eventually made its way to Louisiana. It was a perfect instrument for the music, as its loud sound cut across noisy dance floors. Fiddle backed down to a secondary instrument, and soon the dances began to change. Two-steps and waltzes (which were considered quite dirty and scandalous by the old folks) took over by the 1920s. Bands were still frequently of mixed races at this time. A legendary duo of this era was accordionist Amede Ardoin (a Creole) and fiddler Dennis McGee (a French-speaking man of Irish and Cajun descent). Though the music was the same, the culture was still, like the rest of the South, quite racist and segregated. After a dance one night, a white woman offered Ardoin her handkerchief to wipe his sweaty face. He accepted, and a group of white men literally beat him senseless; he died in a mental institution several years later. Things started to really change after WWI when regular outside influences began to come into French Louisiana through radios, improved roads, and the fact that a large number of Cajun and Creole men actually left Louisiana for the War. Creole music suddenly began leaning towards the popular black music of the time, which was Jazz, Swing and early R&B. Cajun music began leaning towards Country Western sounds. The music started to separate. Creoles began adopting the piano accordion, not just the old Cajun diatonic accordion, for the versatility it lent. Cajuns incorporated country instruments like the steel guitar. Amplification technology changed the music a fair bit as well, the fiddle could once again be heard in a noisy dancehall and stepped back up to its righteous place as a leading instrument in many bands. Creoles, however, eschewing old-fashioned sounds, often dropped the fiddle from the band altogether. 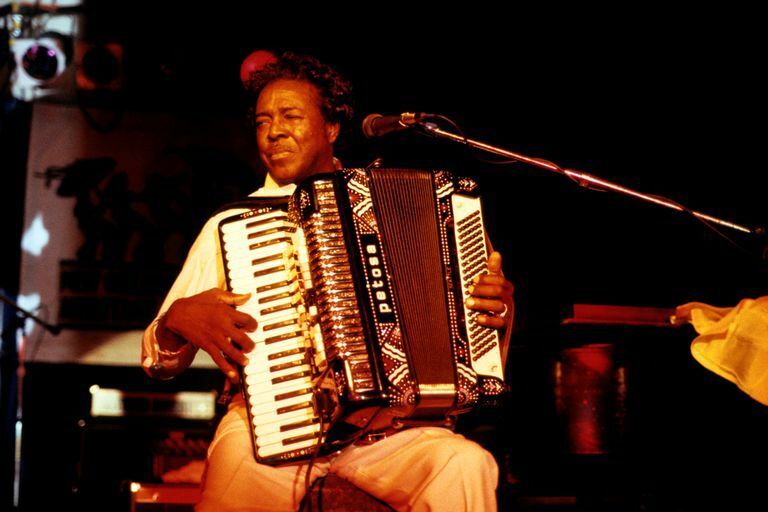 In the late 1950s, a Creole named Clifton Chenier, who fancied himself a bluesman, versus an old-fashioned player of French Music, began calling his music Zydeco. There are several explanations as to what the term actually means, but Chenier was the first one to match the term with the genre. His music was bluesy, syncopated and much different than the peppy, punchy sound that many people somehow associate with Zydeco. He blazed the trail and made it clear that the music was quite different than Cajun music. What's the Difference Between Folk and Acoustic Music? Do You Know the Difference Between Folk and Country?